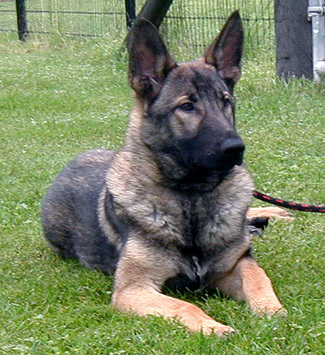 A male of our own breeding and born here at Schraderhaus K9, we are pleased to include this substantial and exhuberant sire in our breeding program. 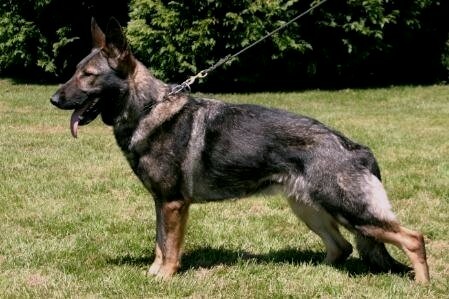 From Tracker's Sire Line: WUSV: VICE-SIEGER, HIGH A, HIGH B, 4X WUSV. SCHH3 SG Aceofnike van het Bleekhof , Paternal Grandsire, SCHH 3 Ufo van Guy's Hof , and great grandfather WUSV CHAMP, 5X WUSV COMPETITOR, SCHH3, IPO3, FH SG Link vom Muikenshof . Additional well known producers include VH1, PH1 Natan vom Pacheco's Haus and V3, IP3 INJD. AFR. KAMP '86 Rick van Tiekerhook. From the Motherline, SG Yumi vom Floriansbrunnen BH, AD, SCH1, comes Great Grandfather and well known producing stud dog, G-BSP 1997, SCH3, FH2 V Aly vom Vordersteinwald and SCH3 , FH1 (3X BSP) V Macho vom Kosakenwald. 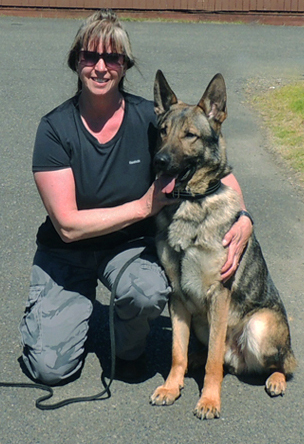 Tracker has an outgoing, funloving and very confident temperament. He is exuhberant and playful in all he participates in.. 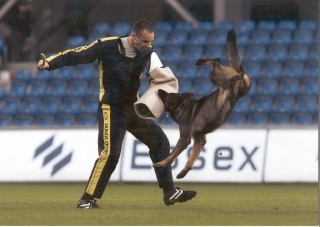 Demonstrating an excellent scenting ability along with high ball drive, coupled with a very loving attitude toward children and other small animals, Tracker is a very good choice for pups which will be used in SAR work or Therapy work or work with children, because of his calm, easy going and loving nature. We anticipate he will also provide us with progeny suitable to be utilized in the Medical Alert Field for Diabetes alert, seizure alert, and PTSD. 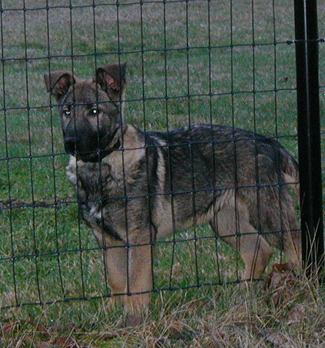 We will utilize him in our breeding program to solidify and to bring forward these excellent traits in his progeny produced for our kennel.